Chinta Tours is a boutique company offering tailor made air safaris of the Australian Outback. Stay in the best available accommodation, dine on regional delicacies, and hear the stories of the area first – hand from local guides. Each tour departs on demand, and operates as a private tour. So spend your holiday in the true Australia with the people you want to be with. 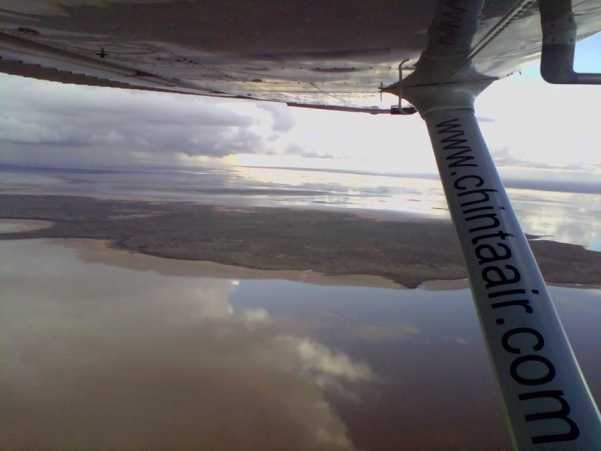 Chinta Tours are the Outback Air Safari Specialists. Select a region on the map to see the tours available in that area. X found | Show all tours. Not recommended for four days either side of the full moon. The Flinders Ranges & Wilpena Pound, with landscapes that has inspired painters and poets for generations. Arkaroola Wilderness Sanctuary, with landscapes and native Australian wildlife. The stars of the Southern Hemisphere, in areas away from cities and towns. Ikara / Flinders Ranges National Park contains scenery of jagged ranges, combined with white ghost gums on the banks of small watercourses. The sides of the peaks reveal ancient layers or rocks, which are a living geology lesson. Amongst this scenery lives the rare Yellow Footed Rock Wallaby, emus, and kangaroos, while wedge tailed eagles, galahs, and native parrots soar through the skies or chatter amongst the bushes. This is scenery which has inspired painters, poets and now photographers, for generations. Experience: A tour of Wilpena Pound, and Ikara / Flinders Ranges National Park to view native wildlife in the wild. A tour of the night sky, in an area away from the main accommodation and 45 kilometres from the nearest town, to maximise stargazing opportunities. Accommodation: Two nights accommodation in a self contained holiday cabin at Rawnsley Park Station with views of Wilpena Pound. Accommodation can be upgraded to the award-winning eco villas at additional cost. 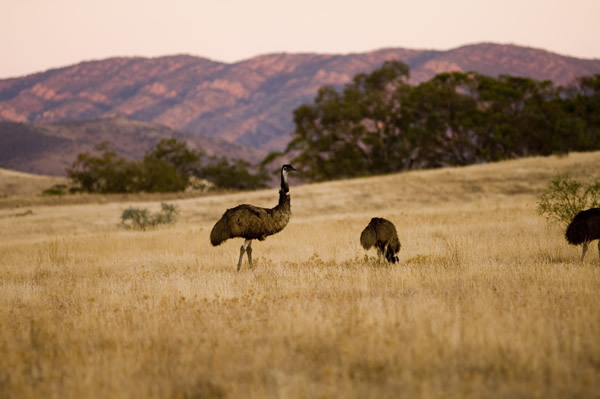 Arkaroola features rugged mountains, towering granite peaks, magnificent gorges and mysterious waterholes, the home to over 160 species of birds and the shy and endangered Yellow-footed Rock-wallaby. 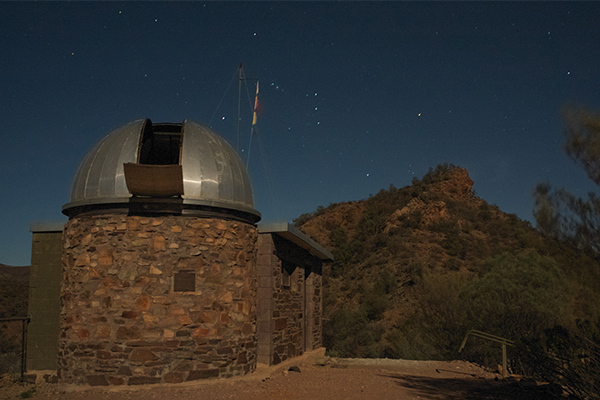 Arkaroola offers three fully equipped astronomical observatories, each located well above the Village area, to ensure your maximum night-skies viewing experience. The nearest town is 130kms away, so the chance of light pollution is minimal. Experience: A tour of the night sky in one of the Sanctuary’s three observatories. A half day 4WD tour of the Sanctuary, to view the Ranges and wildlife. Accommodation: One nights accommodation in a motel style unit at Arkaroola Wilderness Sanctuary. Charter flights from Adelaide to the Flinders Ranges and return, three nights accommodation, breakfast on all mornings, one full day tour of the Central Flinders Ranges with lunch, and one half day tour of the Northern Flinders Ranges, with lunch. Please note: This tour departs on demand from Adelaide, or a shorter tour is available from Rawnsley Park Station, in the Central Flinders Ranges, South Australia. All tours depart on demand. Small groups – maximum of six passengers. Native Australian wildlife, in the wild. The remarkable scenery of Kangaroo Island. The seafood and scenery of the lower Eyre Peninsula. Kangaroo Island offers an amazing variety of Australian wildlife in their natural environment. Australian Sea Lions and New Zealand fur seals basking on quiet beaches, koalas perched in gum trees, echidnas waddling along with their distinctive gait, or goannas, wallabies, possums, penguins and native birds, all in their natural home. Kangaroos are a part of the landscape as they go about their daily life. One third of the Island is protected in national parks, and half the island has never been cleared of natural vegetation. Experience: One days tour with a local guide who offers a conversation (not a commentary), filled with little known facts about the wildlife, and the Island. Tour includes three course lunch featuring Island food and wine. Accommodation: One night in a double or twin share Town View Room at the 4* Port Lincoln Hotel, with two course evening meal and continental breakfast. The Lower Eyre Peninsula is home to the seafood capital of Australia, Port Lincoln. Travel to an oyster farm in the world famous Coffin Bay to try oysters fresh from the sea, followed by a seafood lunch. End the day with a visit to a local winery for samples before heading for the airport, and a private charter flight to Adelaide. Experience: One days tour with a local guide who offers a fascinating education into Australia’s seafood. Tour includes lunch featuring seafood. Minimise travel time by travelling by private charter aircraft between each destination. Flights are included in the tour package. 2 days / 1 nights. Couples or small groups (max of 4). The remote Outback community of Innamincka, located on the banks of the Cooper Creek. The remote iconic community of Birdsville, located on the banks of the Diamantina in Queensland. William Creek, located on the Oodnadatta Track. The rivers and waterways of the Channel Country – Cooper Creek, Diamantina, and Warburton. Outback salt lakes – Coongie Lakes, Goyders Lagoon, Lake Eyre / Kati Thanda, and Lake Torrens. Experience: Fly over Wilpena Pound, Ikara / Flinders Ranges National Park from the Central section to the North. The Cooper Creek is one of three major river systems that flow into Lake Eyre / Kati Thanda. The Creek begins on the Western side of the Great Dividing Range, and covers some 1300 kilomtres in length before ending on the eastern shore of Lake Eyre. It is the second longest river system in the country, after the Murray – Darling. A remote Outback community located on the banks of the Cooper Creek and the Strezlecki Track, Innamincka is surrounded by the Strezlecki, Tirari, and Sturt Stony Deserts. Experience: Lunch at the Innamincka Hotel. Located between the sands of the Simpson Desert and the gibbers of Sturts Stony Desert, Birdsville is an outback town of approximately 100 people located on the banks of the Diamantina River. The area is steeped in history, from Aboriginal meeting places to the arrival or Europeans in the late 1870s, to its role as a customs collection point when the states were separate colonies. Birdsville is a must visit place in the Outback, and will inspire memories that will stay with you forever. Experience: Dinner, Bed, and Breakfast at the Birdsville Hotel. Australia’s largest salt lake, Lake Eyre / Kati Thanda is a breath-taking experience. From the flocks of birdlife on the rivers which lead into Lake Eyre, to the vast expanse that is Lake Eyre, you will not forget a scenic flight over the Lake. Experience: Scenic flight along the Diamantina, over Goyder’s Lagoon, and along the Warburton to Lake Eyre. William Creek is a small town (really, there’s a garage, a pub, and not much more) located on the Oodnadatta Track. This is the closest community to Lake Eyre / Kati Thanda, and provides a welcome lunch stop. Experience: Lunch at the William Creek Hotel. The second largest salt lake in Australia, Lake Torrens is usually overshadowed by its larger neighbour, Lake Eyre. The water in Lake Torrens only ever comes from local rainfall, and is sparse. Even when dry, the patterns of salt and multi coloured earth is well worth the view. Experience: Scenic flight over Lake Torrens, which lies between William Creek / Lake Eyre, and Wilpena Pound / Rawnsley Park Station. Southern Right Whales visit the Great Australian Bight Marine Park in South Australia between late May and early October each year. The Whales visit the area to give birth, and to breed, before returning to the Antarctic waters for Summer. In 2018, a record 172 whales were in the Sanctuary, which included 81 calves born there. The Far West Coast Marine Sanctuary and the Great Australian Bight is considered to be the most important Southern Right Whale nursery in the world. Chinta Tours offers a two day tour, departing from Adelaide, which includes flights between Ceduna and Adelaide, car hire, a night’s accommodation at the Nullarbor Hotel / Motel, a scenic flight over the Whales and the Cliffs from Nullarbor Roadhouse, and a boat cruise in Fowlers Bay. Guests have the option of visiting the Head of Bight Whale Watching Centre, to stand on the iconic Bunda Cliffs to view the whales. 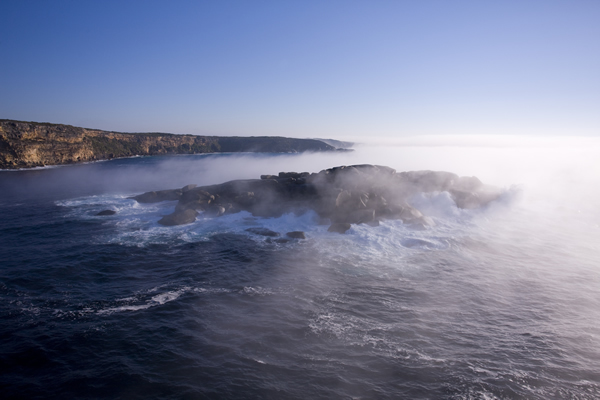 This is believed to be the only tour in Australia where guests can view the Southern Right Whales from the land, sea, and air. 1 July to 30 September, 2019. Departs Monday, Tuesday, Wednesday, Thursday, and Saturday. Southern Right Whales in the Great Australian Bight Marine Park, on the edge of the Nullarbor. The Bunda Cliffs, and the Nullarbor Plain. A boat cruise with Whales and Australian Sea Lions at Fowlers Bay. Families with children age 6 years plus. Uluru / Kata Tjuta – the heart of Australia’s Red Centre. The opal capital of the world, Coober Pedy. Staying in an underground hotel. Uluru, formerly known as Ayers Rock, is a large sandstone monolith in Central Australia which, once seen, is never forgotten. Kata Tjuta (formerly known as the Olgas) and Uluru are sacred to the Pitjantjatjara and Yankunytjatjara, the Aboriginal people of the area. The area has many springs, waterholes, rock caves and ancient paintings. Take the time to explore, and discover the heart of Australia for yourself. 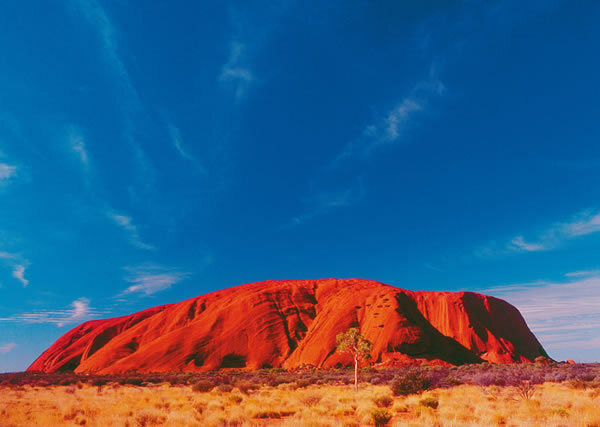 Experience: Watching the sun set over Uluru, and the stars light up the Southern skies. Accommodation: One night in a Terrace Room at a four star hotel, the Sails in the Desert. Coober Pedy is an opal mining town, known as the Opal Capital of the World. The town is approximately half-way between Adelaide and the Red Centre of Australia. Opal was first found in Coober Pedy in 1915, and has since been supplying the world with the majority of gem quality opal. Coober Pedy has a population of 4500 people, that include over 45 different nationalities. The majority of residents live underground to escape the searing summer heat. Experience: A tour of the town, with a visit down an Opal mine, and through the nearby Opal fields to the Breakaways. Accommodation: One night in the world’s only underground hotel – the Desert Cave. Ikara / Flinders Ranges National Park. Experience: A tour of Wilpena Pound, and Ikara / Flinders Ranges National Park to view native wildlife in the wild. Accommodation: One night in an award-winning eco villa, with a skylight above the king size bed, so you can lie in comfort and watch the night sky. The eco villa is located on Rawnsley Park Station, next to Wilpena Pound, in the heart of the Flinders Ranges. The capital city of the state of South Australia, Adelaide is known for its heritage architecture, and its cafe lifestyle. We recommend: Extend this tour to include two days & two nights on Kangaroo Island, to see even more of Australia’s native wildlife, in the wild. Families with children aged 6 years or more. Native Australian wildlife, in the wild, in two separate, stunning locations. This is the Australia you have come to see. Experience: Two days tour with a local guide who offers a conversation (not a commentary), filled with little known facts about the wildlife, and the Island. Accommodation: Two nights in a boutique Bed-and-Breakfast, with meals featuring Island produce. Accommodation can be upgraded to Australia’s first eco-lodge, the award-winning Southern Ocean Lodge (at additional cost). Experience: Native Australian wildlife, in the wild, with a local tour guide. In season, you will have the opportunity to swim with wild dolphins and sea-lions. Accommodation: Two nights in a luxury safari tent with queen size bed, and private en-suite. Meals featuring regional produce. Five days / 4 nights. Families with children age 6 years or more. Wilpena Pound, and Ikara / Flinders Ranges National Park, with landscape that has inspired painters and poets for generations. Kangaroo Island, with native Australian wildlife, in the wild. Flinders Ranges contains scenery of jagged ranges, combined with white ghost gums on the banks of small watercourses. The sides of the peaks reveal ancient layers or rocks, which are a living geology lesson. Amongst this scenery lives the rare Yellow Footed Rock Wallaby, emus, and kangaroos, while wedge tailed eagles, galahs, and native parrots soar through the skies or chatter amongst the bushes. This is scenery which has inspired painters, poets and now photographers, for generations. Experience: A full day tour of the Flinders Ranges to view native wildlife in the wild. Accommodation: Two nights in an award-winning eco villa at Rawnsley Park Station, with a skylight above the king size bed, so you can lie in comfort and watch the night sky. Rawnsley Park is located on the South side of Wilpena Pound, in the heart of the Flinders Ranges. 1 May to 15 October. Families, with children aged 8 or more. Small groups (up to 6 people). The wetlands of the Mary River, with approximately 236 varieties of birds. The ancient stories and landscapes of Arnhemland, with a local tour guide. The gorges of Nitmiluk National Park. Alice Springs, a town like no other. Uluru and Kata Tjuta – the Red Centre of Australia. Bamurru Plains is located on the edge of Kakadu National Park on the Mary River floodplains. A profusion of bird and wildlife are on the doorstep of a bush camp that exudes wild bush luxury, and brings style to a remote and beautiful wilderness. The accommodation offers a ring-side seat to the sights and sounds of the bush, whether it is the haunting call of a Whistling Kite, the raucous cacophony from the Blue-Winged Kookaburras as dawn breaks, or the sound of a full grown buffalo splashing its way through the floodplains just a short distance away. The morning chorus of tens of thousands of Magpie Geese, after whom the camp is named, is an experience in itself. 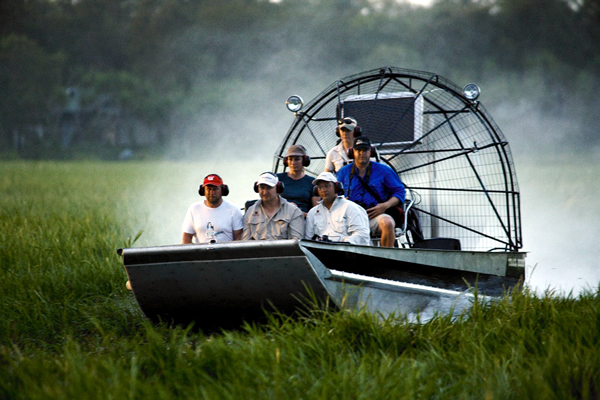 Experiences: An early morning air boat ride over the Mary River floodplains to look for saltwater crocodiles, wild pigs, water buffalo, and just some of the many species of birds that live here. A late afternoon jeep ride to the ocean or through the bush to view the wildlife. Accommodation: Two nights in a luxury safari tent on a raised platform, with private en-suite. Arnhemland is made up of 91,000 square kilometres of unspoiled wilderness, and located in the Top End. Arnhem Land is blessed with wild coastlines, deserted islands, rivers teeming with fish, rainforests, soaring escarpments and savannah woodland. The park protects wetlands of international importance and provides a habitat for abundant wildlife including crocodiles, dugong, nesting turtles and migratory birds. Arnhemland – a once in a lifetime visit, with memories that last forever.. Experiences: Learning from a local tour guide the hidden stories of this remote region. Accommodation: Two days on a private tour of Arnhemland, with one night under the stars. Nitmiluk National Park is home to the Jawoyn people. A visit will allow you to experience rugged gorges, clear water, and hear for yourself traditional stories that link the Ancient times with today. Experiences: A river boat ride through the Nitmiluk National Park, and learning the stories of the traditional owners. Alice Springs (pop 28 000) is half-way between the Top End and the Southern coastline of Australia. The town is knows as Mparntwe to its traditional inhabitants, the Arrernte, who have lived in the Central Australian desert for more than 50 000 years. Alice Springs is known for authentic Aboriginal art, and desert wildlife. Accommodation: One night in a five star hotel. We recommend: Spending two nights at Longitude 131, in a luxury safari tent that provides unobstructed views of Uluru. Families with children aged 6 or above. The deep red gorges of the Karijini National Park. Ocean front accommodation at a wilderness retreat. Broome – the Pearling Capital of Australia. White sand, blue sky, clear water – what more could you want in a beach? Dolphin Beach at Monkey Mia is a popular resort located in the Shark Bay Marine Park and is a World Heritage Site. The main attraction is a pod of bottlenose Dolphins, which have been coming close to the shore for over 40 years. Experiences: Watching bottlenose dolphins being fed, watching the sun set over the beach. Accommodation: One night in a Beachfront Villa, with king size bed, private en-suite. Experiences: Snorkelling on the Ningaloo Reef, or boat trips to see even more marine life. Accommodation: Two nights in a superior king room, with ocean views. Karijini National Park is famous for its dramatic creeks, spectacular gorges and towering sheer sided chasms up to 100 metres deep. It is home to a variety of birds, red kangaroos and euros, rock-wallabies, echidnas and several bat species. Geckos, goannas, dragons, legless lizards, pythons and other wildlife are abundant. In the north of Karijini National Park, small creeks hidden in the rolling hillsides – dry for most of the year – suddenly plunge into sheer-sided chasms up to 100 metres deep. These are the Park’s famous gorges. Further downstream the gorges widen and their sides change from sheer cliffs to steep slopes of loose rock. In Dales Gorge, a stream, pools, waterfalls and ferns contrast with the red, terraced cliffs weathered by centuries of exposure. The occasional snappy gum can be seen perched on rocky ledges. But every gorge is different, and each one is worth a visit. At Oxer Lookout, the junction of Weano, Red, Hancock and Joffre Gorges, tiers of banded rock tower over a pool at the bottom of the gorge. Accommodation: Two nights in a deluxe eco-tent with private en-suite. The Eco Beach Wilderness Retreat is a multi-award winning resort located South of Broome. Spend two nights here watching the world drift by, strolling on the white sandy beaches, or participating in one of the many activities on offer. Experiences: The beachcomber lifestyle – relax, enjoy, and watch the world drift by. Accommodation: Two nights in an ocean front villa. Families, with children aged 6 and above. Small groups (up to 6). The Kimberley coastline – including Buccaneer Archipeligo, the Horizontal Waterfalls, and Faraway Bay. Touring Purnululu National Park, and the unusual beehive formations of the Bungle Bungles. Staying on a working cattle station in the Kimberley. The Bush Camp at Faraway Bay is an inviting haven, nestled on a rocky hilltop overlooking the turquoise Timor Sea, in the remote and spellbinding Kimberley Region. Stake your claim on a hammock for the day. Take a refreshing plunge in the clifftop freshwater pool. Sit and drink in the spectacular, ever-changing view. Or, go out for the day – Included in every stay at Faraway Bay, is a boat cruise along the magnificent King George River on board our charter boat. Your trip will take you to within metres of the Kimberley’s stunning natural wonder, the magnificent twin King George Falls – a location not visited by any other land-based accommodation. Experiences: Walk on untouched beaches, swim in natural freshwater pools, explore the surrounding wilderness, discover ancient rock art, and watch wildlife and marine life in their untouched environment. Accommodation: Three nights in a cabin, with en-suite. The Bungle Bungle in the Purnululu National Park are a hidden world of magnificent gorges, tropical pools, dramatic caves and Aboriginal rock art 250km south of Kununurra. The landscape is marked by tiger-striped, beehive-shaped sandstone domes that rise 300 metres above the surrounding landscape. Purnululu means sandstone in the tribal language of local Kija Aborigines. Accommodation: One night in a cabin, with en-suite. Bullo River Station is home to Marlee & Franz Ranacher and their two sons Ben and Franzie. Relish the opportunity to share their home and their daily lives with fascinating stories and great outback hospitality and will feel like family friends rather than tourists. Bullo River Station was made famous by top-selling Australian author Sara Henderson (Marlee’s mother), whose American husband Charles Henderson developed Bullo River in the 1950’s, with the story of station life vividly chronicled in Sara’s books. Since 2001, Bullo River Station has belonged to Sara’s eldest daughter Marlee and her Austrian-born husband Franz. Marlee has since written her own account of growing up on Bullo and the book “Bullo – the Next Generation” makes for fascinating reading. 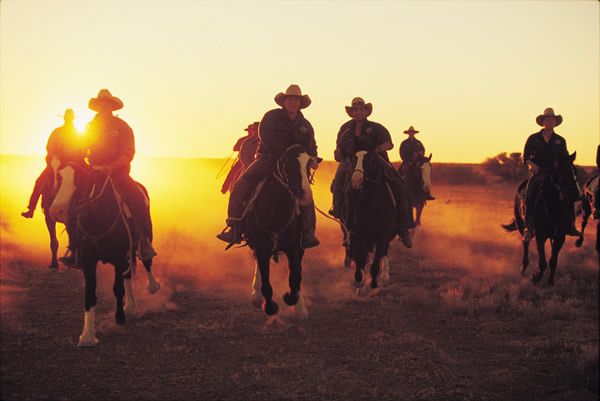 Experiences: Spend your time mustering cattle, horse-riding, learning more about the Aboriginal art on the property, fishing in one of the rivers or waterholes, or cruise along one of the gorges. Accommodation: Two nights in a double or twin share room, with private en-suite. The accommodation block is near the station homestead.